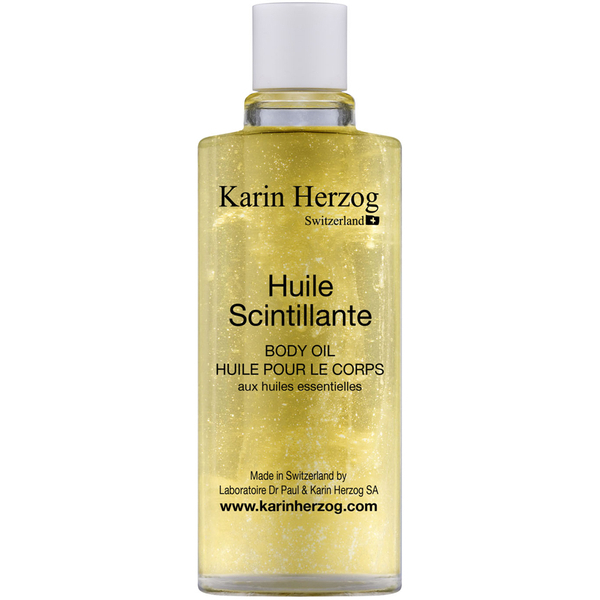 Treat your skin to Karin Herzog’s Huile Scintillante, a wonderfully lightweight and lavish body oil that utilises light-reflecting particles to give you a radiant complexion. 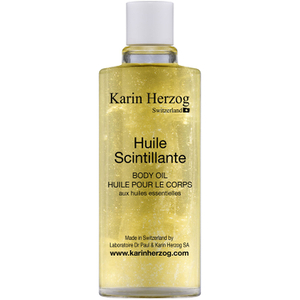 Bursting with essential oils and uplifting natural aromas of cinnamon and sweet orange, the shimmering oil nourishes and conditions skin to leave it feeling sumptuously soft and hydrated. Subtle iridescent particles provide a luminous glimmer, perfect for all skin types especially when tanned for that gorgeous summer glow. Free from parabens and preservatives. Not tested on animals.